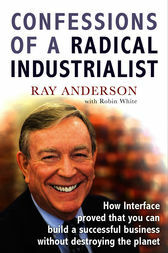 Ray Anderson is chairman and founder of Interface, Inc. He's a sought-after speaker and adviser on environmental issues and serves on many boards, including that of the David Suzuki Foundation. In 2007, Time magazine called him a 'Hero of the Environment'.